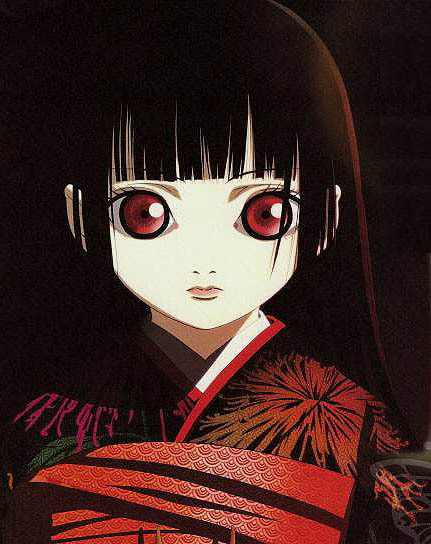 Taking a look at… Hell Girl (Jigoku Shojo) season one… – Stigmatophilia's gore splattered corner of insanity. Ever had one of those days where you have felt like telling someone ‘Go to Hell!’, well with Hell Correspondence you can do just more than that, you can actually send them there. 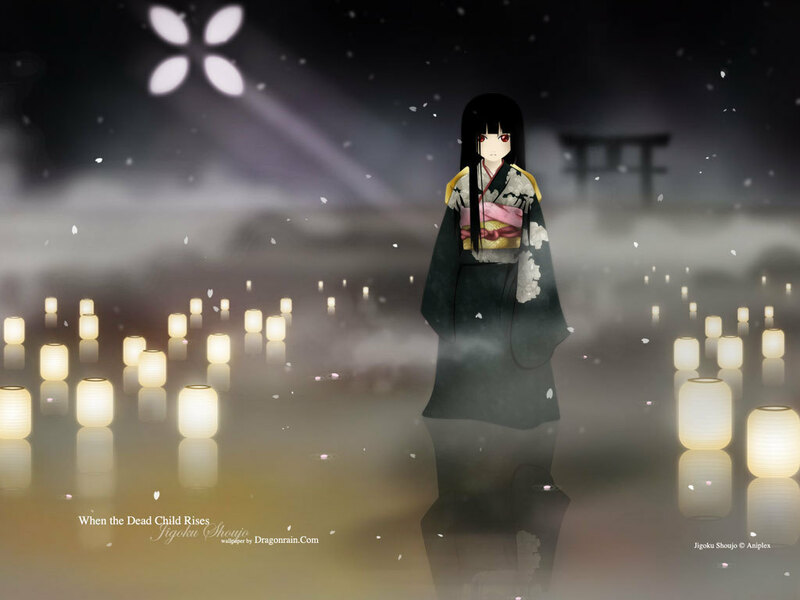 For anime and horror fans alike Hell Girl (Jigoku Shojo) is well worth a look. 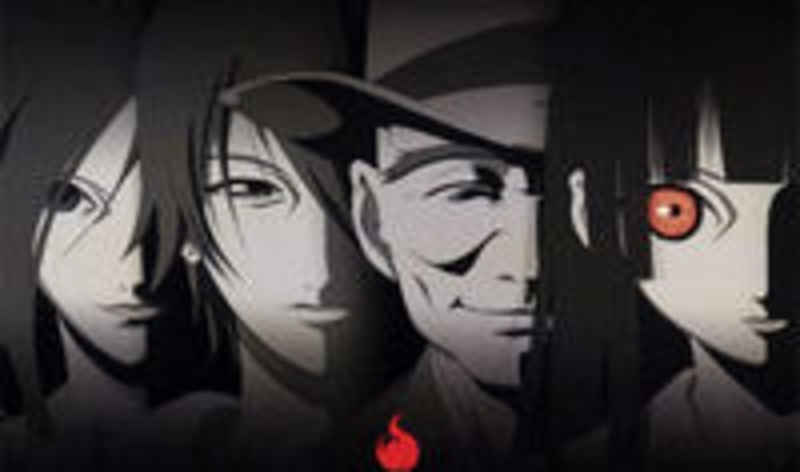 Throughout the 22 episodes we follow a series of protagonists who when wronged for some reason or another, contact the mysterious Ai Enma, (Hell Girl) through the Hell Correspondence website and reek their revenge by getting those wrongdoers sent to hell. There is a price however, you pay with your immortal soul. After contacting the site at exactly midnight on the dot the desperate are given a doll, with a ribbon around its neck, and shown exactly where they will end up if they decide to proceed. 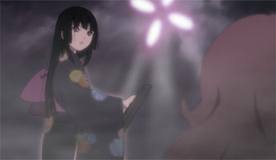 On removal of the ribbon the fury of Hell Girl will be unleashed, and as the protagonists wrestle with the idea of whether things are really that bad they want to make that sort of commitment, something usually happens to ensure they rip that baby off. Ai Emna, and her gang of cohorts, descend directly from hell, and make those see how they have wronged, and there are some brilliant scenes as Team Hellgirl swoop in and steal the souls of the wicked to exact revenge. Ever unrepentant the sinners are taken to Hell via ferry, usually pleading and begging for their soul, with a calm and unemotional Ai Emna steering them through the gates. Ai Emna is someone who knows about revenge, sacrified and buried alive by her village, her spirit is born from the grudge which was created. Operating for many years it seems she has taken a lot of souls too. On taking them she recites the quote below, and there is some dark beauty in the way she delivers her speech. I have watched the series in both the original Japanese language with subtitles, and the dubbed version and I have to admit it sounds more haunting in Japanese, although the words have a bewitching ring in both languages. “Oh pitiful shadow lost in the darkness. Bringing sorrow and pain to others. Oh damned soul, wallowing in sin. There is some sumptuous artwork in this series and the punishment scenes are definitely the highlights as the villains realise they are running out of time and there is no escape from Ai Emna and her crew. These come in the form of some serious headfucking delivered by Team Hellgirl to great effect. The reasons for contacting Hell Correspondence are slightly lame in some of the cases, for example a girl being bullied at school, someone who’s dog isn’t treated properly by the vet and someone who’s cake ideas are stolen. But as with all anime the logic does not always follow normal rules, and it sure does make interesting storytelling. The main characters are portrayed as desperate enough to sell their souls and that is enough for me. There are two further seasons, originally aired between 2005-2009, originally created by Studio Dean, these are available on dvd from Funmation for season one, and Sentai Filmworks for the other two.